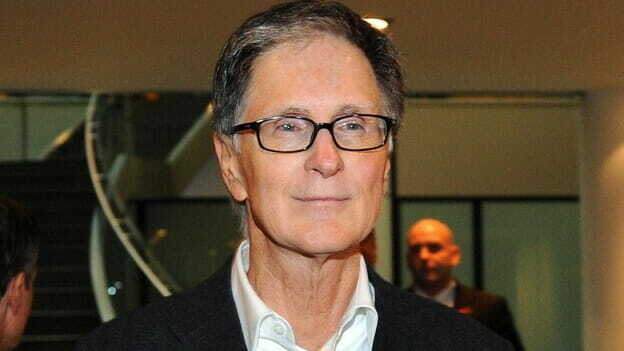 Since my first edition of Trend Following, John W. Henry has retired to his hobbies as owner of the Boston Red Sox and the Liverpool Football Club. His current net worth of $2.2 billion started with trading–because let’s face it owning those teams required capital. Guess where he got the money to buy? Trend following. And given the timelessness of his wisdom, investors will improve their financial condition by considering John W. Henry’s trading career. Interestingly, the early performance data of Dunn Capital and John W. Henry shows them to be trend followers cut from similar cloth— high octane. They are both astonishingly successful self-made men who started without formal association to Wall Street. They developed trading systems in the 1970s that made them millions of dollars. Their correlated performance data showed they both traded for absolute returns and often traded in the same trends at the same time. Henry captured some of the great trends of his generation. By all available evidence Henry was on the other side of the Barings Bank blow- out in 1995. In the zero-sum game, he won what Barings Bank lost. In 2002, Henry was up 40 percent while the NASDAQ was spiraling downwards. He, like Dunn, didn’t have a strategy that could be remotely considered “active” or “day trading,” but when his trading system told him, “It’s time,” he literally blew the doors off the barn with spectacular returns in short order. Did he have down years? Yes, from time to time, but he was right there again making huge money in 2008 when everyone else was losing. Also, as the owner of the Boston Red Sox, Henry applies the basic tenets of trend following—simple heuristics for decision making, mathematics, statistics, and application of a system–to the world of sports. John W. Henry shut his trend following firm down in 2012, but most of his assets under management were pulled in 2007 before the financial crisis in October 2008. That meant billions in Merrill Lynch assets left Henry’s firm and went to other trend following firms (e.g., firms in London). And by the time 2008 unfolded, his money under management had decreased so much that even his great 2008 performance was not enough. Many will tell you John W. Henry was simply too volatile for modern tastes (whatever modern means exactly), and when taking a look at his programs’ track records, there were big numbers on both sides. Take his Financials & Metals 36 percent annualized volatility for example, or the multiple years with above 40 percent gains or more than 17 percent losses, and you can see that Henry’s model was one of high risk for high return. “It is a fallacy to say John W. Henry collapsed.” His clients moved on to other trend following firms. Firm assets went from over $2 billion to $150 million in around 1.5 years. The firm did not close because of “unsustainable” losses but more from a re-deployment of his talents and investment capital. Big funds are all about “distribution.” That means keeping brokers happy, as they live and die with commissions. Henry’s peers weathered the storm. Competition replaced older firms who did not respond to vagaries of the brokerage industry. Trend following assets under management exploded inside several London-based firms (e.g., Winton, Aspect, Cantab, etc.). John Henry products essentially moved into venture capital. Red Sox Baseball was not a hobby–it was a business transaction. He also bought Fenway Park, the broadcasting, the Boston Globe, and Liverpool Football Club (U.K.). People don’t think of Henry as a venture capitalist, but he became one. Henry still trades his own money as a trend follower with “two” of his original “guys” there. As an investor you have to dig deep past headline reading. You have to understand all issues associated with any investment–trend following included. And if you think trend following died because John W. Henry or any other one person stopped running a trend fund, you may want to ponder a more complete view. Go do the autopsy. Find out why. And hypothetically, even if John W. Henry was the only trend follower to have ever walked the planet, his public 30-year track record requires an objective postmortem. Note: There are tremendous lessons to be learned from Henry’s trading.